Volunteers are asked to arrive at 1:30 and can expect to be done no later than 5:30. Volunteers are needed to assist with a variety of tasks including traffic control, food sorting, and assisting with carry-out to cars using shopping carts. The distribution is conducted rain or shine in the Landers Center parking lot on the east side of the building. All volunteers are asked to dress for the elements. Bottled water will be provided. If your group would like to volunteer for this event, please email Anna Dickerson, at volunteer@cfnm.org . 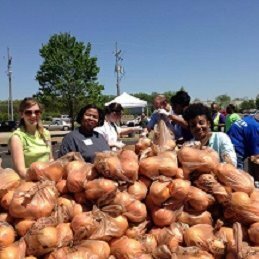 Log in to see who is volunteering for Desoto County Mobile Food Distribution at the Landers Center, Southaven!